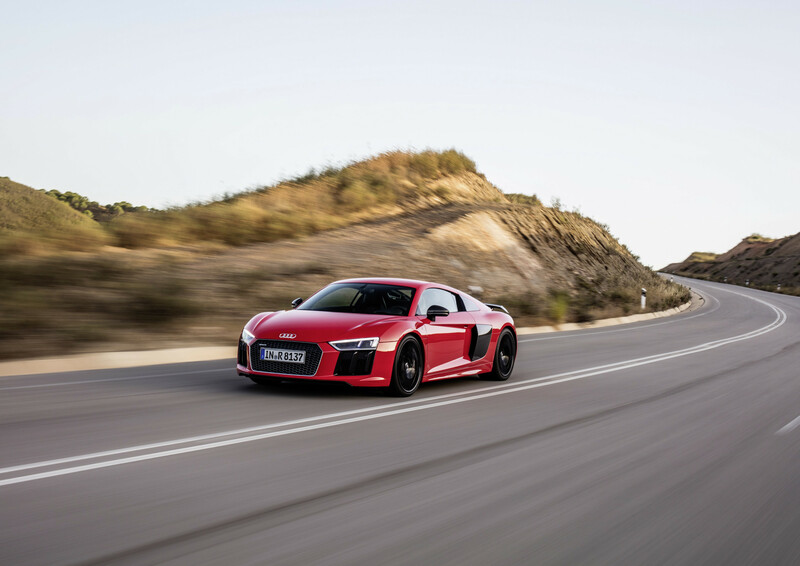 The R8 was originally launched in 2007, and has quickly became the everyday supercar. It was easy to drive but had the performance when it was needed…….well now there is a new on. 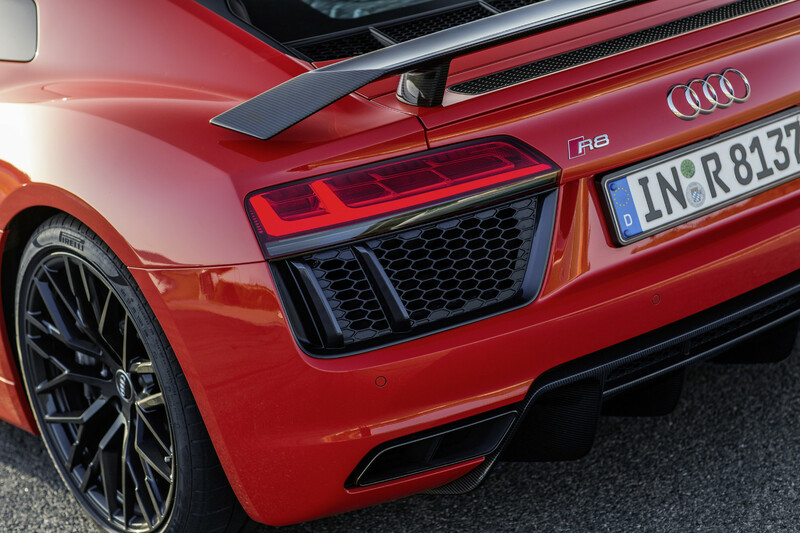 The 2017 Audi R8 is the it’s the fastest road-going car the company has ever produced. We are of course referring to the Plus version, which has 610 hp at a screaming 8,250 rpm. Audi has consciously left out the V8 and gone for normal aspiration, in spite of its competition going for forced induction. We like this. Audi has kept the original shape of the original R8, with some small revisions of the front and rear to be sharper and more aggressive. The fenders are a bit wider, and the side-blade design is now two pieces instead of one. The V10 Plus gets a carbon-fiber spoiler; the standard V10 has a flush, body-color piece that deploys at speed. The biggest differences between the Plus and Non Plus is under the hood. The naturally aspirated 5.2-liter V10 in the Plus puts out 60 hp over the last model and 15 lb-ft more torque for a new total of 413 lb-ft @ at 6,500 rpm. 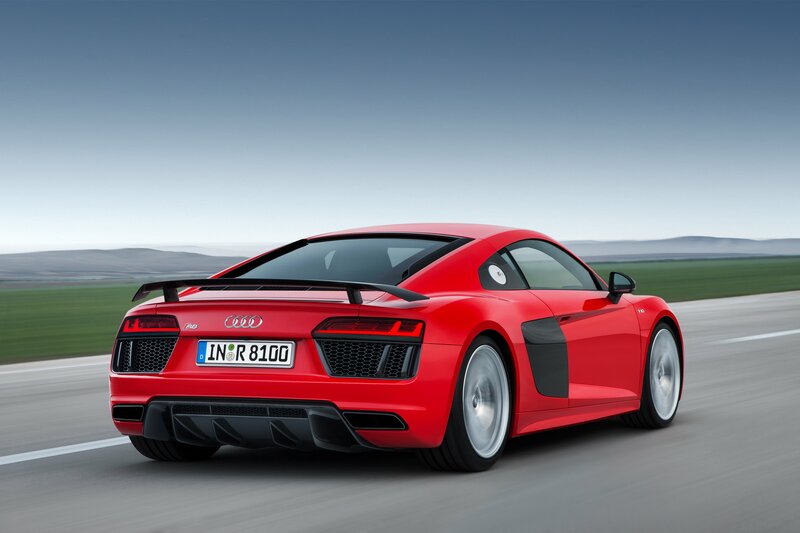 Audi claims the R8 will reach 62 mph in 3.2 seconds, reaching 124 mph in 9.9. Top speed is 205 mph. We expect that once the car comes Stateside it will be faster than the these claims, possibly under 3 seconds. 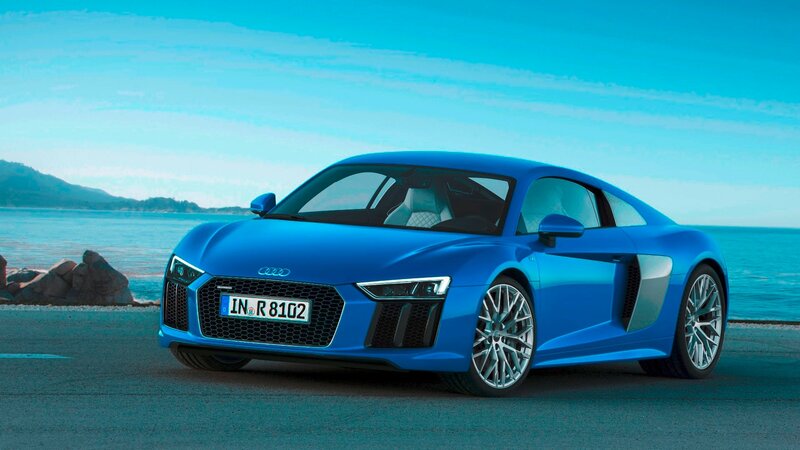 The base model, if you can call it that gets 540 hp and 398 lb-ft.
All this is mated to an S Tronic dual-clutch gearbox that is now standard kit the 2017 R8. It’s been throughly re-engineered with ridiculously smooth and fast shifts. A nifty cylinder deactivation sytem is now standard, which switches the V10 into to a five cylinder engine under “normal” driving conditions. If you cut the throttle at more then 34 mph one bank of cylinders cuts off to saave gas, but comes back on line if you need to go fast again. Launch control is of course available. In the new model you simply hit the checkered flag mode button to activate it, which deactivates the traction control. Press on the brake pedal with your left foot hard, stomp on the gas pedal with your right, and let go of the brake. Rinse and repeat with a stupid smile on your face. The R8 sports the new MMI system which powers the R8’s instrument-panel-mounted infotainment system, offering some amazing new features. The screen in the instrument cluster is large, ( 12.3 inches (1,440 by 540 pixels), and high-resolution. The display has been improved and uses an NVIDIA Tegra 30 processor with 2 GB working memory to handle the 3D graphics, Google Earth maps display, and other visual good stuff. It’s fast with no lag and is very cool to use.The Audi R8 sports LaserSpot high-beam lamps which are still being assessed for use in the US. Unfortunately you can;t use them to blast fast lane hoggers out of the way. 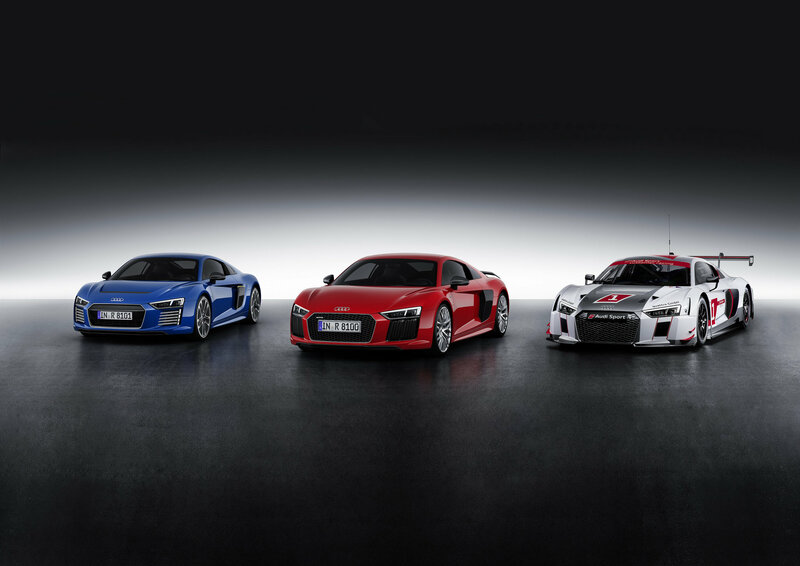 The R8 goes on sale in Spring 2016. Use our comparison chart below to decide which one to buy.